WOW! SDCC 2017 is almost here, and where can you buy products that I have something do with? Well, my artist pal John Hageman will be at Small Press M-1 and will have copies of The Woodland Welfare Manifesto, samples of our newest book Charley & Humphrey, as well as Charley & Humphrey pins and puzzles! That’s not even taking his own awesome Social Vermyn books into account, which he will also be slingin’! So get down there July 19-23rd and grab all you can! Great review of BLOODY DREADFUL at OMNICOMIC! Typically, those words are uttered by a person on a rampage, looking to take on all comers. Sometimes though, it works perfectly well when working through a series of something. 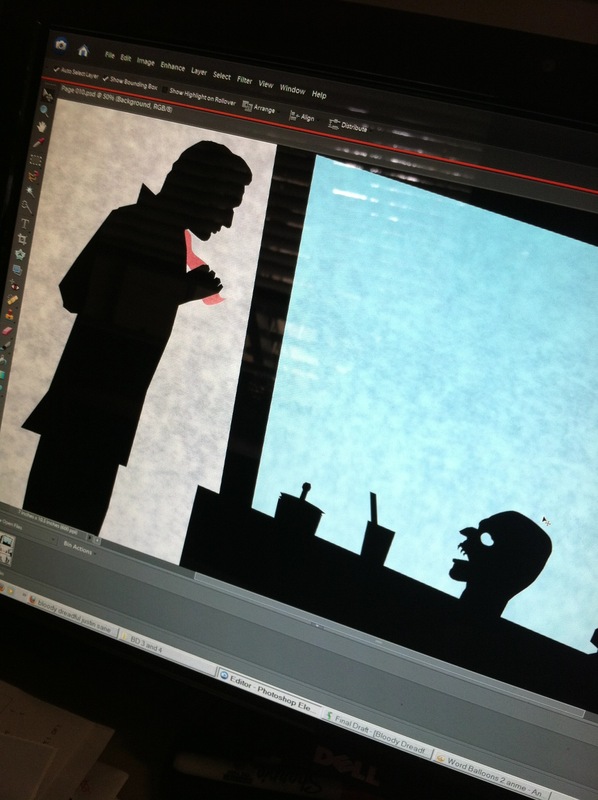 Like robbing graves in Bloody Dreadful #1-2 from Slave Labor Graphics Publishing. Great interview with my publisher Dan Vado on SLG Publishing and the future of comics at COMIC BOOK RESOURCES – even a BLOODY DREADFUL mention or two! It’s here, comic fans! 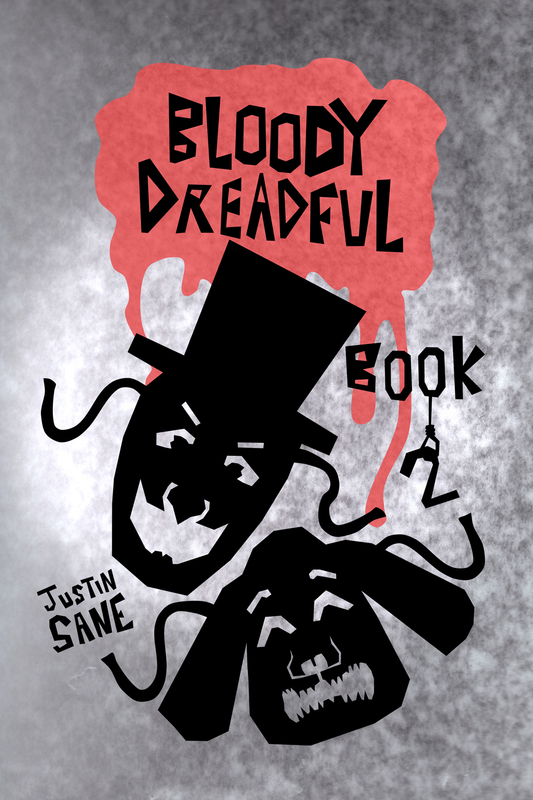 The second book in my hilariously horrific Victorian terror series from SLG Publishing, BLOODY DREADFUL, is now on Amazon! 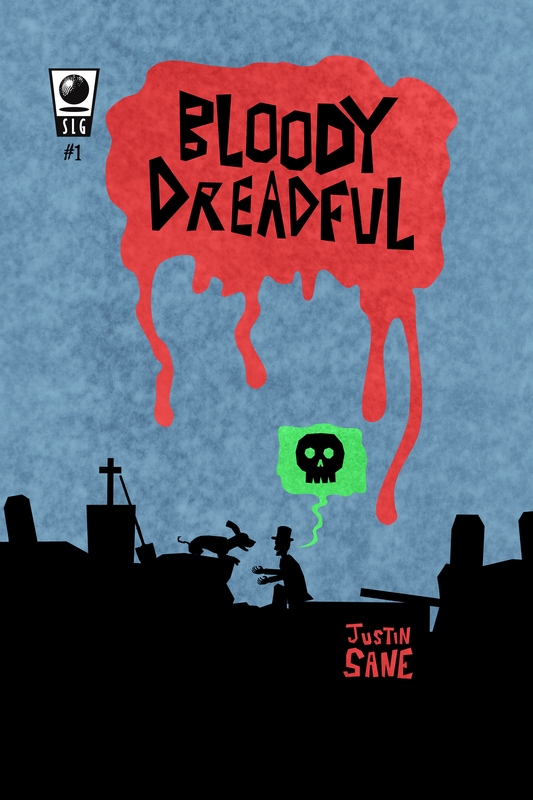 Purchase BLOODY DREADFUL: BOOK TWO on Amazon! Sneak Peek at BLOODY DREADFUL #3! In the foggy shadows of Victorian England, a wisecracking Grave Robber utilizes his special gift to see the past lives of the bodies he unearths, and reveals what lurid and shocking tales lie just under the surface in this horror anthology written and illustrated by Justin Sane (Heart of a Corpse). When newly-wealthy Beatrice and her loving husband Harland come into contact with a mysterious fortune-telling automaton at the local fair, their future is revealed as horrifying indeed. So, what are you waiting for, an engraved (heh, “grave”) invitation? Get on over to comiXology (first issue FREE!) or Comics Plus and check it out!